This holiday season, we have a lot to be thankful for. Here’s a list of the top 5 things we’re thankful for in Microsoft Dynamics 365. They can be used in both the web and mobile clients, allowing rich, inline editing no matter where you are or your device of choice. This is a real game changer, and we couldn’t be more excited. PowerApps (one third of Microsoft’s “Power Trio”) allows customers to rapidly create web and mobile business applications without developing a single line of code. PowerApps allows you to connect to your systems and create new data, build apps without writing code, and publish and use those apps in a web browser or on your mobile device. 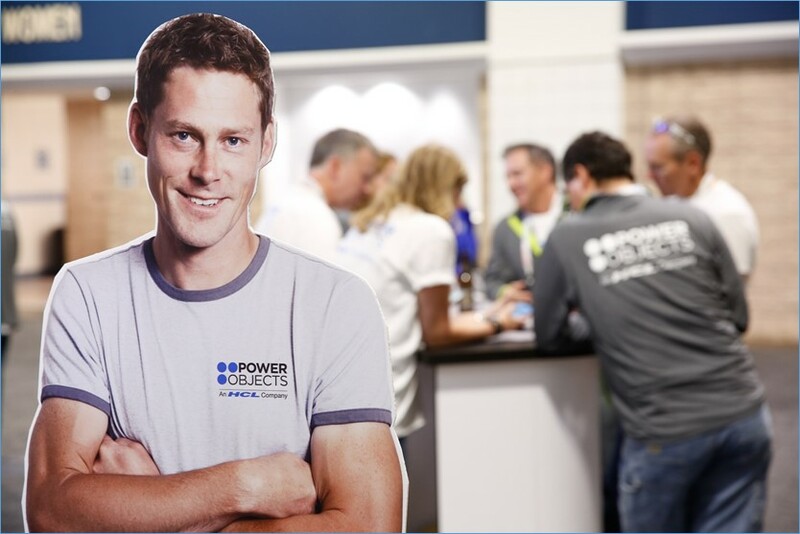 To learn more about PowerApps, check out Rob’s blog. 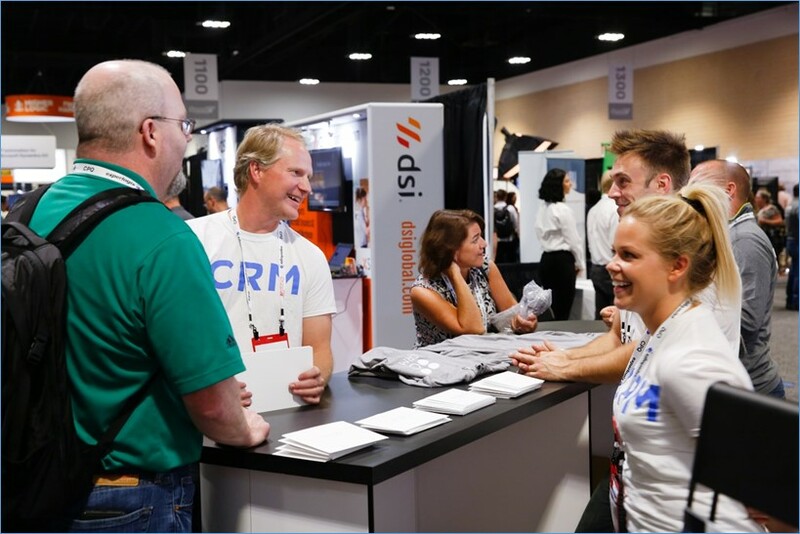 Unveiled for the first time at the Dynamics User Group Summit last month, Relationships Insights is a new app in the Dynamics 365 suite designed to help organizations manage the health of their customer relationships. Relationships Insights helps end users keep track of customer correspondence and interactions, automatically assesses the health of those relationships and can automatically send alerts if too much time has passed between interactions. Relationship Insights gathers information from Office 365, Dynamics 365 and social web sources to analyze the number of exchanges, the sentiment of those exchanges, the frequency and time spent with the customer to calculate the overall health of the relationship, and then displays it in an easy to read format where you need it most. Relationship Insights embedded in the Opportunity form. The ability to manage a project from its inception as a Lead to completion as a Project in a single platform is truly a dream come true for project managers everywhere. One thing Microsoft has come to learn over the years is that one size does not fit all. End users throughout your organization have different needs in the platform, will access different types of data and perform different functions depending on their role. So why should they be pigeon-holed into a single type of license? There are many different types of licenses now available from the Team Member license (available for as little as $ 4-$ 10 per user per month) to Enterprise Plans with several different options in between. To learn more about the various pricing and licensing options now available, check out Lisa Beringer’s blog article from last month. Beringer Associates a leading Microsoft Gold Certified Partner specializing in Microsoft Dynamics CRM and CRM for Distribution. We also provide expert Managed IT Services, Backup and Disaster Recovery, Cloud Based Computing and Unified Communication Systems. At PowerObjects, we know that we have a lot to be thankful for and try our best to say “thank you” every day. Without our amazing Dynamics 365 community, we would be lost. 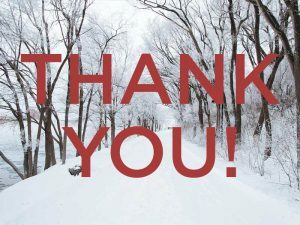 So… thank you! Today’s blog will feature 5 things that we are grateful for. Boy was it hard for us to choose just 5 but we thought “top 5” sounded a lot better than “top 5,000,” so this list is definitely to be continued! But for now, here are 5 of the things we are giving thanks for this year. 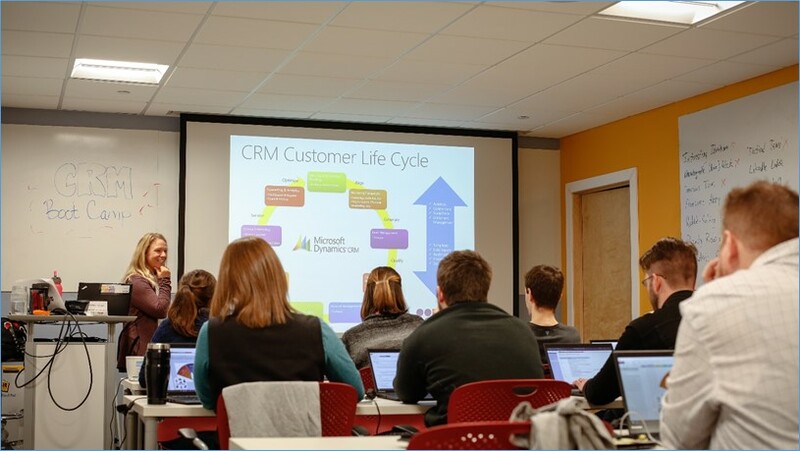 There’s nothing better than walking into one of our boot camps or trainings and feeling the energy of everyone who is pumped up to expand their CRM skill set. (Nerd alert, we know – but it’s true!) Your passion for knowledge fuels our team! It’s always a blast and a half to hear the latest and greatest from our CRMUG crew and reconnect throughout the year. We love working with you to find solutions to all of your business needs and cheering you on with every success. What can we say, we feel pretty lucky to have such a fun and dedicated group of people to work side by side with every day. High fives all around, peeps! He’s great at making new friends, always has a huge smile on his face, has impeccable style, and of course… loves CRM! How could you not be thankful for this guy? And that’s where we have to wrap it up for today. As always, thank you for reading and happy Dynamics 365’ing! The Infusionsoft Content Marketing Team Is Thankful for YOU! It’s been a long year. And a good year. A year of successes and failures and learning and setbacks and frustrations and growth. Now that 2014 is coming to a close and we head into a season of celebrations (and sales!) we wanted to take a moment to let you know exactly how much you mean to us. We know how hard your road is. We know the late nights. We know the dreams. We know the sacrifices. And we know just how much it all means. We know because we’ve been there. Because we’ve been small business owners with big dreams. Some of us have succeeded, some of us have moved on to new challenges, and some of us are still pushing through – just like you. And we know because your success is the reason we come to work every single day. Because we work on a team and in a company that puts their heart and soul into a vision focused directly on small business success. Our team has been working hard over the past few months to build a bigger, brighter and better version for the future. We laugh a lot. We have spontaneous dance parties. We brainstorm endlessly about ways to serve you better. Because you are the reason we are here, doing what we do. We are deeply thankful for you. Now, and all year long. Keep on working. Keep on dreaming. Keeping on growing the small business of your dreams. The Infusionsoft Content Marketing Team. PS: Stay tuned, we’ve got big things coming really soon, and we can’t wait to share them with you. Feeling Thankful – Is there an App for That? I am thankful for mobile apps and social media that let me connect, and stay connected with so many kind people and friends. Just yesterday my wife and I met up with a high school friend, Marti, we had not seen in 25 years. I was in a business meeting in downtown Portland, Oregon for several hours, but was able to track their location and meet up with them later in the day via SMS and Google maps on my smartphone. This friendship was reestablished via Facebook. Today we are meeting another high school friend, Candy, that we had lost contact with for decades, but we are now the closest of friends after connecting again via Facebook. I record corny video commentaries and interviews with experts that many of you have started watching, but few have finished. This year I have recorded 67 videos (don’t view them if you are allergic to corny). My friends, when trying to bolster my ego call them “authentic,” but they are most often corny. When traveling I use my iPhone to film them. I can record, edit and upload my videos to a YouTube channel all from my iPhone that fits in my pocket. I can bring you with me on my travels and into discusses with leading mobility experts around the globe. 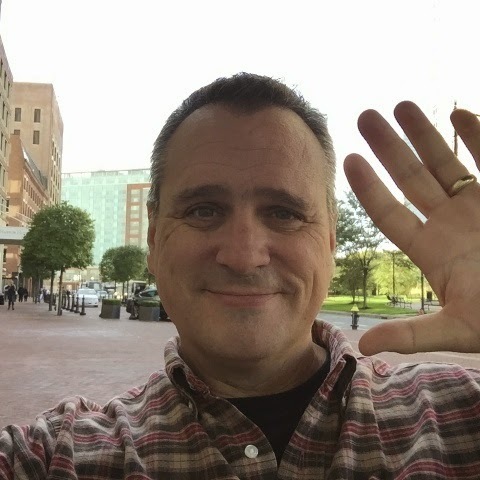 Social media and mobile technologies has enabled a redneck, Boise, Idaho based, mobility obsessed former dairy farmer to travel to the corners of the earth on a regular basis sharing mobile and digital transformation strategies and research with companies. This is just crazy to me, and for that I THANK YOU!!! !